Steve Medwin, SIOR, CCIM, joined Newmark Knight Frank in 2016 as executive managing director and co-lead of the Industrial Services division for South Florida in the firm’s Miami, Florida, office. Mr. Medwin is a leading industrial specialist in the representation of owners, investors and occupiers of commercial real estate. Over the course of his 28-year career, he has completed over 1,000 real estate transactions in 25 states, covering millions of square feet and valued in excess of $2 billion. His unrivaled expertise comes from his diverse experience in landlord and tenant representation, buyer and seller representation, land sales, investment sales, corporate build-to-suits, acquisition and disposition, ground-up speculative development and business park leasing. Mr. Medwin joined NFK after serving as managing director with JLL for six years. In this capacity, Mr. Medwin was responsible for brokering deals while also leading a team of over 30 brokers and growing annual revenue by more than 350%. Among the recognition and accolades he received for his expertise in commercial real estate, Mr. Medwin was named a JLL “Top Gun” in 2013 and 2014, as well as a “Power Leader” and “Heavy Hitter” by the South Florida Business Journal. He has been quoted as an authority on commercial and industrial real estate and international trade by such respected publications as The Miami Herald, Sun Sentinel, CRE Sources, Daily Business Review, Miami Today, South Florida Business Journal, Globe Street, Bisnow, Real Estate Forum, The Real Deal, South Florida Business & Wealth Magazine and Florida Trend Magazine. Prior to joining JLL, Mr. Medwin served 16 years with Lincoln Property Company as a senior vice president. 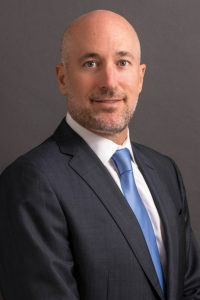 During his tenure at LPC, he was in charge of acquiring, developing and selling over $250 million worth of commercial properties across South Florida. Mr. Medwin earned a Bachelor of Arts degree in economics from the University of Vermont. He has also earned the prestigious SIOR (Specialist, Industrial and Office Realtors) and CCIM (Certified Commercial Investment Member) designations.